GEORGE TOWN, Cayman Islands — The United Kingdom government has asked the government of the Cayman Islands to sign a mutually agreed framework for fiscal responsibility (FFR). Economists in Britain’s Foreign and Commonwealth Office (FCO) have developed the FFR and it has been presented to the Cayman government for review, discussion and eventual signature. • Government should drive the delivery of improved accountability in all public sector operations. According to Cayman Islands Premier McKeeva Bush, such an agreement has the potential to impact not only the government’s financial policy-making, but the territory’s broader economic status, and the government’s overall performance in terms of good governance. “This policy document, which we are negotiating with the UK, therefore has the ability to affect the quality of life and the standard of living in these Islands,” he said. Bush said that he is in favour of signing such an agreement and that it is understandable that Britain has seen the need to restrict its exposure in such circumstances as there is no guarantee as to what kind of spendthrift government will be elected in the future. However, Bush expressed reservations about some of the important methods put forward in the FFR as the means by which these principles are to be achieved. As an example, in order to achieve effective management of risk, the FFR states that the government should borrow only to fund capital expenditures which will yield sufficient revenues to meet debt services costs. This is interpreted to mean, as an example, that separate juvenile remand facilities which are required in order to comply with the Islands’ Bill of Rights — scheduled to come into effect in 2013 — could not be constructed, using borrowed funds, because such a facility will not generate a revenue stream to fund debt service costs. Further, under the Bill of Rights, the government must build and maintain schools to provide primary and secondary education, free of charge. If in the future the government needed to borrow funds to finance additional educational facilities, it would appear that the FFR would disallow such borrowing — simply because such facilities would be unlikely to yield sufficient revenues to meet its associated debt service costs. As another example, in order to achieve effective management of risk, the FFR indicates that the entire debt servicing costs — which consist of repayments of principal, as well as interest payments — by government and all its statutory authorities and government companies, cannot exceed 10% of government’s revenues. The revenues of statutory authorities and government companies are excluded in this computation but their debt servicing costs are included. “It is government’s view that this definition is overly restrictive,” Bush said. 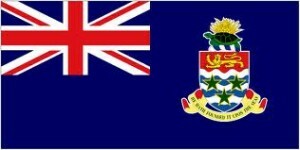 Cayman Islands senior civil servants have accordingly reviewed the FFR and provided suggested changes to the document, which will be taken up with the FCO and reviewed in discussions this week between Bush and Britain’s minister with responsibility for the Overseas Territories, Henry Bellingham,.